One of the hard or dangerous things about raising a baby that starts out so critically ill or traumatized, is that although staying close, loving on them, cuddling them, being "one" with them is necessary to help them survive, it can cause nightmares later. When your two day old, (or in Honey Bandit's case I think he was 3 months old before he could voluntarily "come to me") comes running up to see you and crashes into you it is just "way cute". But picture 1000 or more pounds of that same loving horse flying up to see you and bumping into you. That can be deadly. But in critical cases, it is not an option whether you share your space with them when they're small; it can be the difference between losing your baby or "pulling them back to life". When Honey Bandit was lying on the blue mat at the veterinary hospital, he was in a coma so deep that the Dr. thought we would lose him before she could get the iv in. I kept reaching in his mouth and messing with his tongue. I simply wanted to reach through that fog and let him know someone was there. But now it's time to teach Honey Bandit about the "space" issue. He doesn't get to come into my space unless he is invited. Chilly Pepper DID NOT like her "Lessons in appropriate space etiquette 101". But she did survive. HoneyBandit is simply "growing up" and needs to become a well behaved "toddler". He does very well, but he has a tendency to forget that I am not Patches or DaBubbles and that he has to "play" with mommy in a more respectful manner. I have a feeling he is going to be huge someday and I need him to have exemplary manners. With my leg it doesn't take much to knock me down, and America's Poster Boy to Stop the Round Ups need to represent our beloved mustangs in a manner befitting of their level of intelligence! Why Are We Paying to Kill Our Wild Horses? Here's a list of 18 wild horses that BLM admits have died at the Indian Lakes wild horse corrals in Fallon, Nevada in just two weeks. Press and public are locked out of Indian Lakes, which is located on a private ranch. Euthanized is the term used here, but most horses are shot. To met, these look like round-up and transportation injuries and the odds of 3 mustangs surviving for one year in the wild with "club feet" so debilitating that BLM destroyed them, is hard to believe. 95 Seventh Street (Corner of 7th and Mission) Courtroom No. 1. When the gavel hammers down and the official announcement rings out, “Hear ye, Hear ye. This court hearing is now in session..., “ in my own heart I shall say, “I hear and I am here. 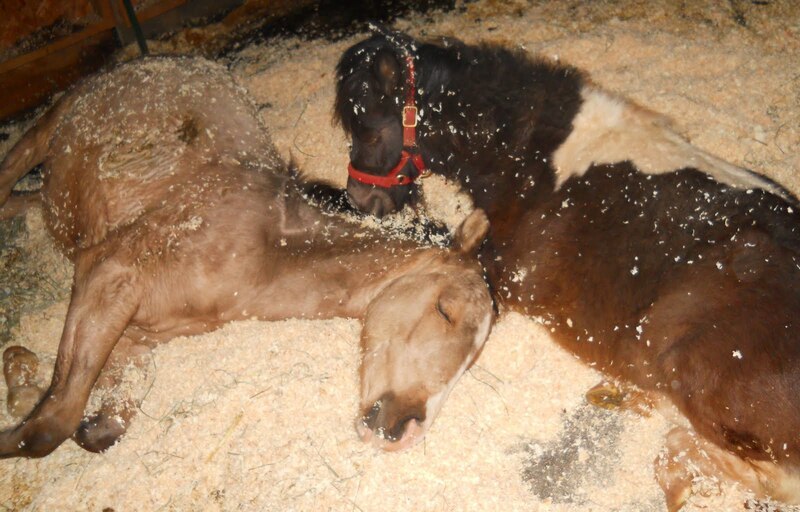 I am here for a foal named Honey Bandit, the miracle survivor of those fateful Twin Peaks roundups. I am here for the additional 1,600+ wild horses and burros permanently swept away from their own land of freedom. I am a taxpayer, and I am here.” I am one person. I am one person, a first-timer to visit a BLM facility, who decided to go see for myself. 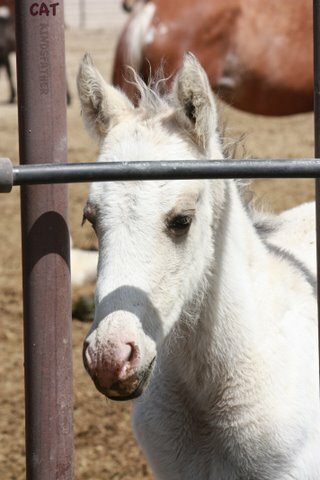 The invitation came from Palomino Armstrong of Shingletown, California, a knowledgeable horsewoman already successful in the rescue of a tiny foal named Chilly Pepper. September 2, 2010, I took my camera and we walked into the Litchfield office of BLM and learned of a foal deemed in such bad shape that he would not live another day. Thankfully, Palomino was permitted to take the foal into her equine rescue where he could receive intense 24/7 care. Honey Bandit is the embodiment of the dysfunction of BLM roundups. He lives to tell that the system is broken and needs to be fixed. The Twin Peaks litigation hearing set for Tuesday [tomorrow]can start fixing the problem of the broken system. Consider the impact of a courtroom filled with 1600 people: each person representing one exiled or dead Twin Peaks horse or burro. One person can make a difference. I will be present for the hearing. Who will be seated next to me? 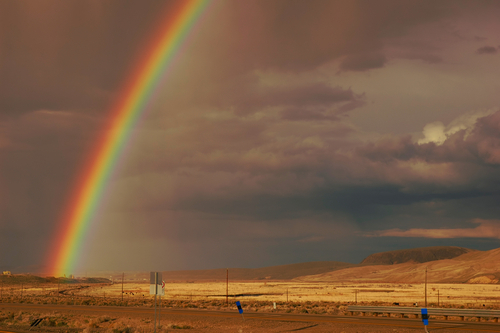 ELKO, Nevada, here we come! Vintage poster -- Terri & Suzy weren't there! Big excitement for city girls Suzanne Morgan William and Terri Farley! > Teach kids how to write cowboy poetry! > Do a writing workshop for adults who'd like to write kids' books (picture books-YA)! This news footage CNN Wild Horses Round-upsTEXT was shot on the real Phantom's home range. The film of a BLM helicopter buzzing a burro, then knocking the little guy off his hooves will make you catch your breath and think of the worst bullies, ever. Watch the video, then read the transcript to see what you missed. AZUZ: When you think about an old-fashioned round-up, you might picture a cowboy on a horse, trying to corral some group of animals. But a modern-day round-up out in the American west is causing some controversy because horses -- thousands of them -- are the ones being rounded up! John Zarrella rides into the middle of this debate between the U.S. government and animal activists. JOHN ZARRELLA, CNN MIAMI BUREAU CHIEF AND CORRESPONDENT: There is no Secretariat, no Seabiscuit, no Black Beauty. Here, they have no names, none needed. In their eyes, you see who they are, rugged, powerful, independent. They are the wild mustangs of the American West. Woven generations ago into the fabric of this land, they've become the focus of lawsuits, even protests as far away as New York. UNIDENTIFIED FEMALE: Help save America's wild horses. ZARRELLA: The horses are at the center of a tug-of-war between the U.S. government, chasing them down with helicopters, and animal rights groups who want it stopped. RICHARD COUTO, ANIMAL RECOVERY MISSION: The roundups of the wild horses and burros of the United States is a true holocaust of the animal world. ALAN SHEPARD, NEVADA BUREAU OF LAND MANAGEMENT: We can't let one, say, the horse, impact everybody else by taking all the feed, all the water, all the, do damage to that habitat. ZARRELLA: The disagreement is clear cut. The Bureau of Land Management, BLM, is charged with caring for and managing nearly 40,000 horses and burros roaming on 26 million acres of the West. While this federal land, your land, was set aside for the horses, they don't have free rein. The land is considered multi-use. SHEPARD: Wildlife, livestock, recreationists, mining interests, whatever. ZARRELLA: The BLM insists it must reduce herd sizes because the land can't support the numbers. MARK STRUBLE, SPOKESPERSON BUREAU OF LAND MANAGEMENT: This ain't Kentucky bluegrass. ZARRELLA: So, it holds roundups. Last year, the goal: remove 12,000 horses. That's right, 12,000, and take them to holding pens. BONNIE MATTON, WILD HORSE PRESERVATION LEAGUE: This is our land. We want the horses on here, most of us. ZARRELLA: Armed with cameras and recorders, the activists document what they see as brutal roundups. Here, a helicopter chases one single burro, eventually knocking it over. It staggers off. Here, you're looking at steam rising from the backs of chased-down, exhausted horses. The BLM says less than 1 percent of the animals die in these round-ups. Activists say that's 1 percent too many. It's time to GROW A BACKBONE and let the people who've declared war on horses -- wild and tame -- know that dollar $igns aren't a good enough reason to bring back American horse slaughter factories. The Summit of the Horse will be held in Las Vegas, two days from now. It's sponsored by United Horseman, a pro-horse slaughter group. No, this isn't about horse welfare; it's about Greed, one of the Seven Deadly Sins. No, you do not have the best interests of horses at heart. Betcha a lie detector test would show interest in your bank account, not horses, at heart. And finally, no, you are not speaking for horses and horse people. In fact, I'm issuing a Victorian "how dare you?" and I bet I have some company in asking HOW DARE YOU say you are speaking for me? Most horse people would do back-flips to avoid a union with you. The ick factor there is nearly as nauseating as UH vice-president Sue Wallis's suggestion. Wallis, a state senator under investigation for fraud & ethics violations, wants U.S. horse flesh (so full of drugs that horse-eating nations won't accept it)fed to school children and the poor. I know thousands of students who'd have something to say about that. If UH wants to kill the school lunch program nationwide, let them fire up a press release celebrating the info that Wyoming kids are being served filet of Flicka. More chilling than UH's boasts is this: BLM DIRECTOR BOB ABBEY is a featured speaker at the pro-slaughter convention. Director Abbey told me face-to-face that slaughter is not a viable option for healthy horses. 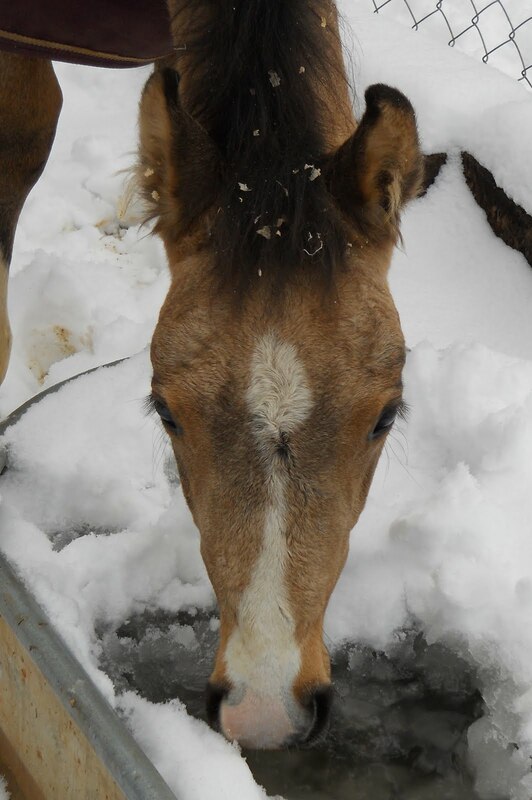 Does that mean the option is on the table for mistreated foals like HoneyBandit (shown above?) or that Director Abbey's had a change of heart? You pay Director Abbey's salary. Start the year off as you mean to go on!